Who wouldn’t want to be paid to act like a clown whilst wearing a giant animal costume? 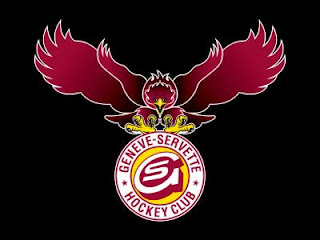 The Geneva-Servette Ice Hockey Team are one of Switzerland’s top Ice Hockey teams. Currently top of the table, they attract an average crowd of 8,000 loyal Swiss fans in their modern stadium located in the heart of Geneva. Even more exciting than this is the fact that they don’t just have one team mascot, they have two! Both eagles, Calvin and Calvina (a male and female couple) represent all that is Ice Hockey; they are fast, powerful and aggressive when needed. I decided a simple phone call would work best. Henda, the man on the other end of the phone line, paused for a moment as if to take his ear away from the phone to double check this was not some kind of prank phone call. University study?! Was this man joking? The image of a university professor lecturing a class whilst dressed as Giant Panda holding pom-poms still puts a smile on my face. Luckily for me, the current mascots must have had a sense of humour as a few days later I received a call from the Geneve-Servette Ice Hockey club telling me that the would overlook my under-qualification in Mascot Behaviour. This I understood. I feel the same away about my Batman outfit. I was over the moon! It looked as though everything was falling into the place! Surely nothing could go wrong from here. Perfect I thought to myself, a giant Eagle with an identity crisis. Just what the crowd needs. I began to laugh as I realized this man too had a sense of humour. It was game-day and I arrived at the stadium nice and early. It was quiet apart from a few devoted supporters who were busy applying face-paint and unrolling flags in the carpark. Henda, the very helpful contact with the sense of humour, met me at the VIP entrance and escorted me inside the stadium. After shaking my hand and laughing at a few of the antics that he had read on my website, he handed me a white envelope explaining that it was a small gift on behalf of the club. Henda gave me the tour of the stadium as he introduced me to everyone along the way including the club president. Strangely, it seemed they all knew who I was. The stadium was really impressive. It was huge inside as officials darted around as the teams arrived to check out the ice. TV cameras lined the outskirts of the rink awaiting the big game and a huge triangular video screen hung over the middle of rink. It was becoming clear that this was the real deal; Sponsored Volvo vehicles , media presence, security and a mini-air balloon covered in sponsors logos which was being flown above the ice all made me nervous as I realized I was going to be part of this huge circus. The tour finished in a quiet dressing room where Henda told me to wait until Calvin and Calvina arrived. At that point, they would show me the ropes and tell me exactly what I would be doing. Remembering that I was Switzerland, I was thankful that Henda spoke good English. Many didn’t. 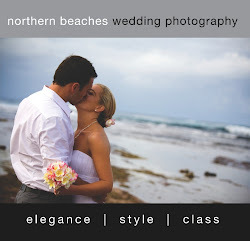 This took me by surprise as it seemed that everything was in place. What could it be? I sat straight-faced, hiding my confusion, wondering what was happening. I waited anxiously, unsure what was about to be said. Had my dream of being a mascot been dashed at the last minute? What could possibly remedy the situation? Henda again chuckled. I’m not sure what I did. I’m sure that a University degree in Mascot Studies would have helped me deal with a last minute change of character from ‘Appropriate Eagle’ to ‘Miss-fit Tiger’, but as it stood, I remained confused. At that very moment, as if planned, a man and women walked in the dressing room and lay a brand-new Geneve-Servette Jersey on the table in front of me. I got up excitedly and looked at the jersey. On the back was the number 77, with the name TERRY printed underneath. It took me a moment to realize that it was no coincidence that this was my last name and that being a club-mascot was item number 77 on my list! Henda had gone above and beyond the call of duty. I was amazed! Henda has created a new mascot just for me! Later the crowd would be made aware of this as the popular stadium MC would invite me onto the ice and introduce my character to them. In less than a minute I had gone from the heights of an Eagle, to the lows of nothingness, and back again. I stood up with purpose, Terry le Tigre it was! I was excited. The last point was fairly obvious even for someone outside of Mascot University, but again I nodded. I also soon found out that Calvin and Calvina could not speak English which makes it a wonder that I understood the ground-rules in the first place. To be fair though, I don’t any bi-lingual Eagles. A third person then entered then room holding a huge suitcase. As if a large exchange of money was about to take place, he placed it carefully on the table and undid the latches. Calvin, Calvina and I crowded around the bag as the mystery man slowly opened it revealing the goods. Inside was a glorious Tiger outfit! It was time to get changed. I would liken this experience to wrestling an actually tiger. It was hard, at times dangerous, and best done with the help of three people. Once inside the suit, I noticed quite quickly that the heat alone was enough to cook meat, and that without the aid of a mirror I could only assume that I looked the part, however with severely obstructed eye-sight a mirror would not have helped too much anyway. In fact so bad was my vision that I needed to be held by the hand at first to complete a straight-line walk! The problem was that the only holes to see through were where the actual eyes of the tiger were and these were spaced about 13 inches apart. This meant that I had to focus both my eyes through one of his. Not only this, but a thick mesh material concealed his eyes meaning that I was basically experiencing what I would describe as tunnel vision. Calvin and Calvina routinely changed into costume whilst I walked around the room bumping into every object possible and I couldn’t help but laugh as I witnessed two half dressed Eagles talk very seriously and passionately about something that I couldn’t understand due to it being in French. With Calvin sporting fluffy orange legs, a fake big belly and disjointed wings, he would yell something at Calvina who would flap her wings in response and mumble something from within a huge smiling Eagle head. Perhaps they were debating who was going to look after me? With that, the stadium MC grabbed me by the paw and escorted me to the beginning of the tunnel which led to the centre of the ice rink; it was time to be introduced to the crowd. With two big tiger paws aloft, I attempted to give him a thumbs-up. My nerves made themselves noticed again as the spotlight introduced itself to the rink in an effort to find me. I had visions of kids bursting into tears yelling at their parents; But that’s not Calvina! The MC gave me the signal to walk as he raised the microphone to the mouth and began to whip the crowd into a frenzy. I took a deep breath, and stepped boldly onto the ice. This was my moment. A quick glimpse up at the triangular scoreboard overhead and I noticed the Camp Quality logo shining brightly. It was great! Everything was going perfectly until the second step where my leather shoes, which hid beneath my tiger feet, failed to offer any grip. Luckily I managed to keep upright, but only to find the same problem occur on the third and fourth steps. Thankfully I managed to avoid completely falling over in front of 7,000 people by adapting my walking style into more of a shimmy. With my tunnel vision playing havoc with any sort of spatial awareness, I stopped walking after twelve or so paces. This, I assumed, was the middle of the ring, and although I couldn’t see any of the crowd, there was a mighty roar as I started to wave blindly whilst completing a little twirl. It must have looked as though I was trying to swat persistent flies. Regardless, it seemed as though crowd had accepted Terry Le Tigre and I smiled from within. The MC joined me immediately, before Calvin and Calvina also made there way onto the ice. Calvina now stood directly behind me, and this I found out when I walked straight into her. Ever the professional, Calvin grabbed me and twisted me around as apparently I was facing the wrong direction. I was completely disorientated. I flung my head around wildly as I tried to look out of the left eye-hole to gain balance, fully aware that to the audience, I risked looking like a tiger enduring an epileptic fit. The MC was still talking French at pace when he then said something directly to me in the form of a question. All I could do was nod in the hope that the answer was a yes. The crowd cheered again and so naturally I saluted with a wave. Before long, my time on the ice was over and Calvin again grabbed me and led me off the ice as if I was an elderly person in need of help. A few arm pumps and a couple of claps on the way off and it was time to take to the grandstands. “Oui, tres bien!” added Calvina who stood next him. For the first time, I could see them both clearly but without the peripheral vision to see anything else I couldn’t help but feel like the kid from “Where the Wild things are”. The game had started by the time Calvin and I had reached the top of Stand ‘A’. In fact after only 20 seconds, our team had conceded an early goal. The crowd needed something to cheer about and we were it! Calvin had explained on the way up that we were to basically make our way to the far side of the stand whilst cuddling people, sitting in vacant seats, and basically making idiots of ourselves. With only 10% vision and giant tiger feet that severely impeded my walking, I figured this would not be hard. Immediately, a few kids ran at us and jumped up to give us huge hugs. Terry Le Tigre had well and truly been accepted. I picked up the larger of the two kids and placed him on my lap as I sat in a near-by vacant seat. The game was being played at a high-pace and so fist-pumping and clapping was a must. With the kid now sat on my lap, I could not actually see him through my good-eye, and so when he fell off my knee, I had no idea he had done so until I kicked him with my foot. Luckily he was OK but it was certainly time to move on. Calvin was brilliant with the crowd, and whenever I managed to find him, he would be flirting with girls, tapping kids on the head and generally creating laughter with everyone around. I tried to copy suit and decided to cuddle a group of middle-aged men who were more than happy to show me some love. We were all having fun. After ten minutes or so, Calvin and I found ourselves sitting next to each other as we witnessed a few Geneve-Servette goals. The score was 2-1. Henda, who I had not seen since the dressing room, then surfaced and along with another official, we embraced. Henda couldn’t stop laughing at me but without being allowed to talk all I could do was hug. Our last pass through the crowd saw me walk past a bald man who I instinctively rubbed on the head. I did not get a chance to turn round and see his reaction but I hope that he saw the funny side. After all, who could stay angry at Terry the Tiger! Before long, Calvin and I had graced the crowd with our presence and wouldn’t you know the score had stretched out to 4-1. I don’t want to make an outrageous claim and say that the team took inspiration from Terry le Tigre, but I’ll let you do the maths! I slowly made my way out of the stands, but not before trying to talk on someones mobile phone mid-conversation and also helping to brush a ladies hair. I was loving the free reign of terror a cuddly Tiger was allowed! The high of being amongst the crowd was quickly followed by the exhaustion of getting out of the costume. Calvin and Calvina had to run their last errands on the other side of the stadium as I sat alone in the dressing rooms once again staring at the far wall. I felt like an athlete having just come off the pitch. With the Tiger outfit and my new Jersey both hanging on the peg next to me, I reached into my pocket and got out that white envelope that Henda had given to me earlier. The GSHC wishes you all the best! Good Luck! 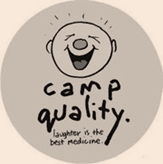 Under that was a very generous donation for Camp Quality. I’d like to give a huge thank you to the Geneve-Servette Hockey Club and Henda for helping me tick off item 77 from my list and for also donating money to Camp Quality. It’s because of kind gestures like this that I’m able to complete my list. 100Things... What's on your list?